Joshua graduated with an Honours Bachelor of Science with high distinction in the spring of 2019, in which he completed a specialist degree in immunology. During his undergraduate career he was recognized with numerous awards denoting his academic success, including the George Gray Falle Scholarship and multiple faculty awards. Of particular note, Joshua was the first immunology specialist to receive the Immunology Undergraduate Award. Joshua was initially fascinated by immunology at the age of 15, after being diagnosed with a life-threatening allergy to shellfish. However, it was not until his sophomore year that he ignited his passion for research in the lab of Dr. Juan Carlos Zúñiga-Pflücker. Joshua would go on to work in Dr. Zúñiga-Pflücker’s until his senior year, and under his supervision, Joshua investigated the factors that were sufficient for the induction of T cell development during hematopoiesis. During the two years in which he worked in the JCZP lab, Joshua aided in the development of a novel technology that promoted the development of human T cell progenitors in vitro from a variety of stem cell sources. This technology utilized beads coated with ligands found in the thymic niche, which is the natural site of T cell development, to simulate the in vivo conditions necessary for T cell specification and commitment. These results offer the potential for significant applications, both in the academic and the clinical realm. As such, Joshua’s research has been recognized, and he has received several awards for his contribution, including the UROP award and prizes for research excellence at Sunnybrook Research Institute. In addition to his work as a researcher, Joshua has been actively involved in leadership and mentoring services provided by Trinity College at the University of Toronto. 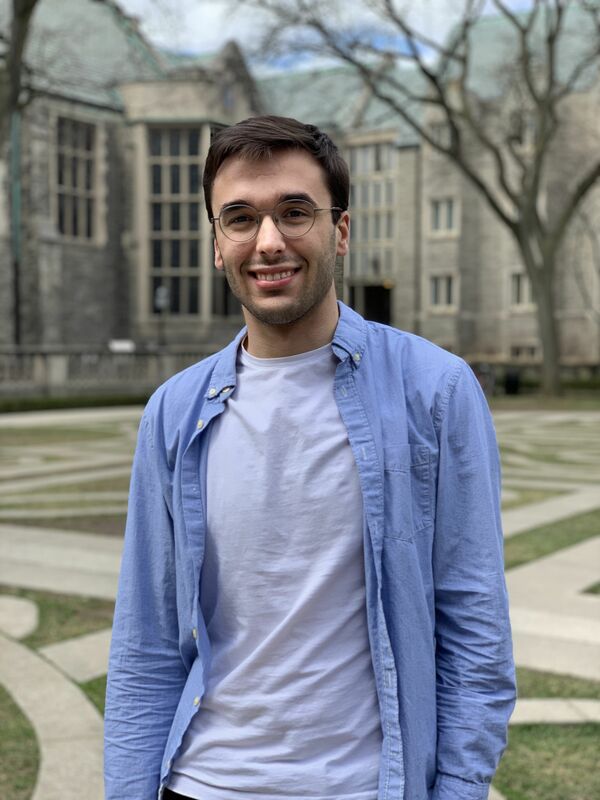 Joshua served as a peer mentor in his third and fourth year, acting as a resource for incoming students and guiding their transition into university life. Outside of school, Joshua remains active and is an avid rock climber. Starting in the fall of 2019, Joshua will begin his PhD in the Department of Immunology at Harvard University. During which he hopes to investigate the mechanism through which the immune system is educated to differentiate between self and foreign entities and the potential areas in which the immune system may fail to make this key distinction.